Home » GBP » Pound to Indian Rupee Exchange Rate Forecast: Are GBP/INR Losses ahead on Slower UK Inflation? Pound to Indian Rupee Exchange Rate Forecast: Are GBP/INR Losses ahead on Slower UK Inflation? The Pound (GBP) has made a minor decline against the Indian Rupee (INR) today, with Brexit-related uncertainties pushing the GBP/INR exchange rate down to ₹95.1788. The stakes are high in Brexit negotiations, with Prime Minister Theresa May warning that if the ‘Chequers deal’ is rejected then the UK could leave the EU without any deal. This ultimatum has drained GBP trader confidence, as it once again makes a no-deal Brexit, which is widely considered the worst possible outcome, a distinct possibility. Looking ahead, the Pound to Indian Rupee exchange rate could fall further on Wednesday morning if UK inflation rate stats disappoint. While a month-on-month rise is forecast during August, a year-on-year slowdown from 2.5% growth to 2.4% is also predicted. Slower annual price growth could lead to the Pound falling in value, as such an outcome means less pressure on the Bank of England (BoE) to raise interest rates. Annual readings are considered more important than monthly figures, so even if the month-on-month printing rises above forecast levels this might not support Sterling. 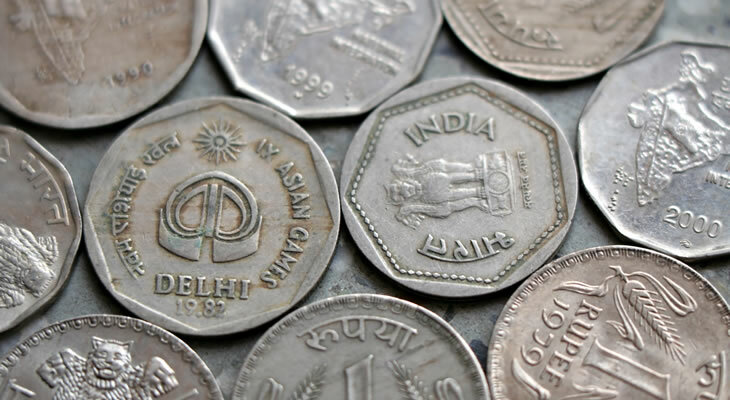 Another data release that could cause Pound to Rupee (GBP/INR) exchange rate losses this week will be Thursday’s retail sales figures for August. In a reflection of a poor performance during August, lower levels of sales activity are expected to be reported across the board, with and without fuel sales included. August’s month-on-month readings are especially notable, as these are expected to show -0.2% contraction with and without fuel costs included. Lower sales activity can have knock-on negative effects for the UK, including job losses, shop closures and, eventually, a reduction in national GDP growth. As such, if Thursday’s readings all show forecast-matching declines then the GBP/INR exchange rate could drop before the weekend. Will EU’s Summit on Brexit Bring GBP/INR Exchange Rate Support? This week is a busy one for news that could affect the Pound’s (GBP) value, as Thursday will also bring a special summit of EU leaders. Among other topics, attendees are expected to discuss ongoing Brexit negotiations and could comment on current progress in Brexit talks. In the best-case scenario for Pound traders, EU leaders will suggest a compromise in negotiations that will satisfy UK teams and make an imminent conclusion a possibility. Fears of stalled talks overrunning the November deadline have drained GBP trader confidence in recent weeks, so evidence to the contrary could provide reassurance. Indian Rupee Outlook: Are INR/GBP Exchange Rate Gains ahead on Manufacturing PMI Growth? Indian Rupee (INR) traders will have a long wait until the next high-impact domestic data comes out; this will be 1st October’s Nikkei manufacturing PMI. This PMI (covering September) is expected to show a slight rise in sector activity, which might raise support for the Indian Rupee. While a forecast-matching rise from 51.7 points to 51.8 might not seem like much, it would still be a move away from the sub-50 point contraction range. Previous ArticlePound Sterling to New Zealand Dollar Forecast: Will GBP/NZD Exchange Rate Drop on Slower UK Inflation?